We love that you've partnered with Zhou to help look your best each and every day. You work hard on your style, so we want to see you flaunt it! Post a pic of your hair today, and use #howizhou for your chance to be featured! 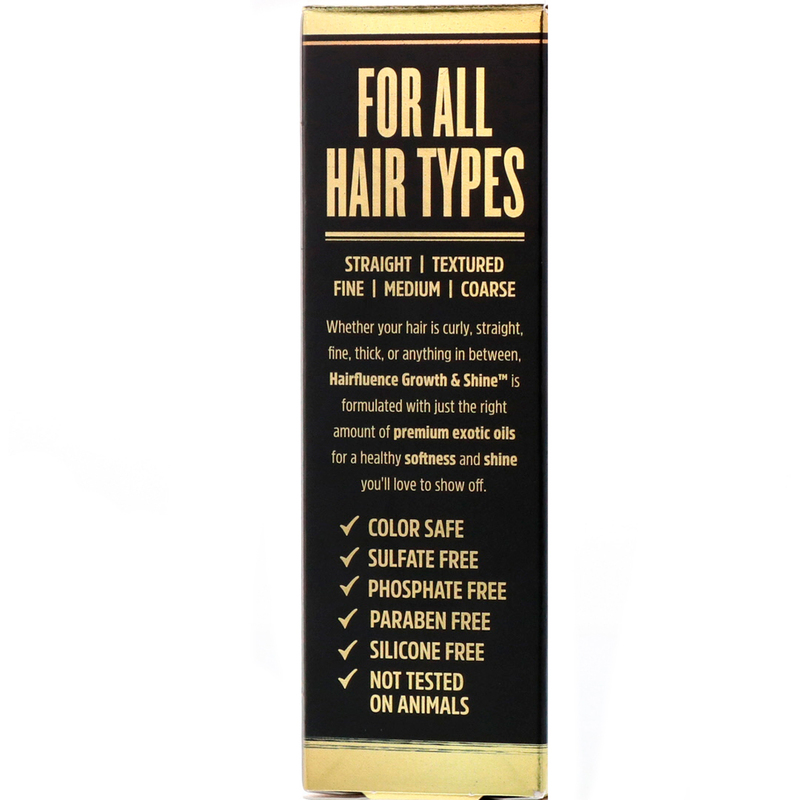 Whether your hair is curly, straight, fine, thick, or anything in between. 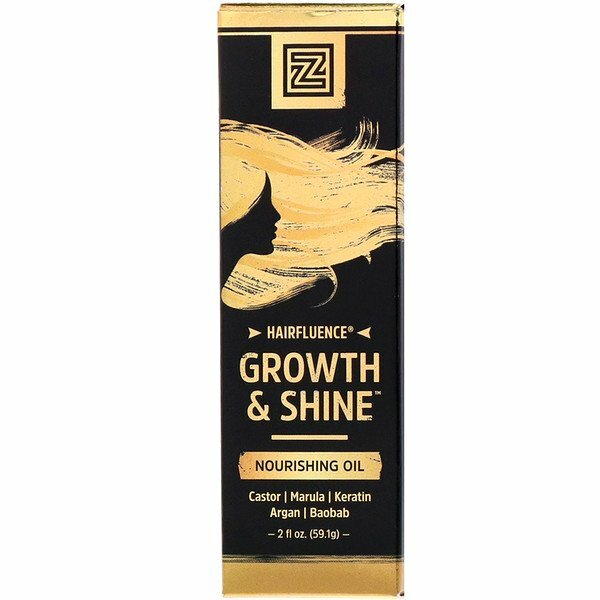 Hairfluence Growth & Shine is formulated with just the right amount of premium of exotic oils for a healthy softness and shine you'll love to show off. Daily Use: Warm 1-2 spritzes of oil between your palms and apply to ends, working up as needed. 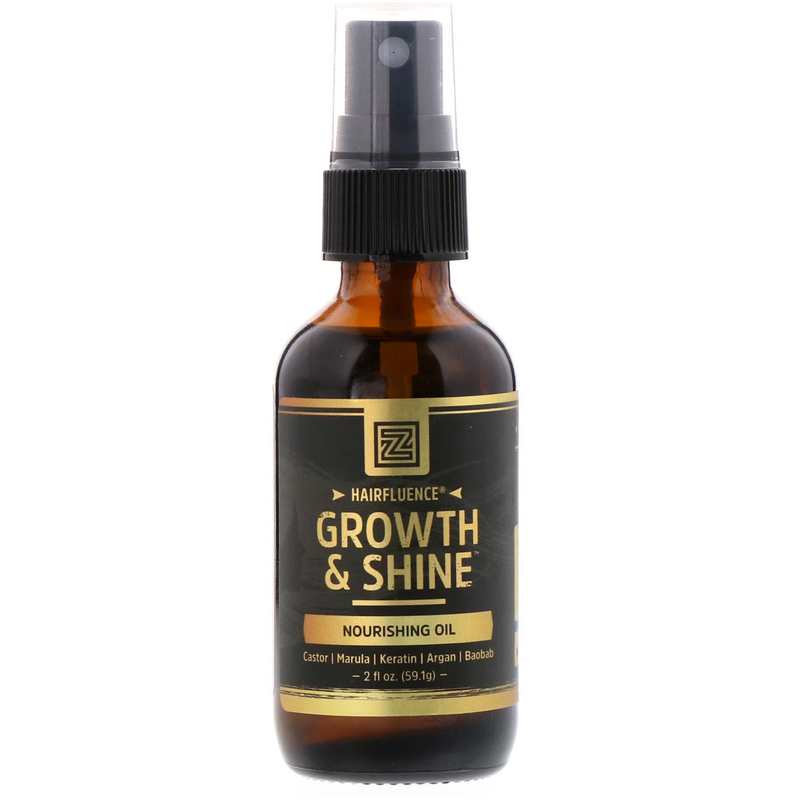 For more coarse hair, spray approximately 8 inches away from hair and spritz as needed for your specific hair type. Want healthier hair from the inside out? Add Zhou Nutrition's Hairfluence supplement to your routine to help support longer, stronger, and healthier every day. Heptyl undecylenate (derived from castor oil), argania spinosa (morocan argan) kernel oil*, ricinus communis (jamaican black castor) seed oil*, butyrospermum parkii (unrefined shea) butter*, hydrolyzed keratin, tocopherol (vitamin E), sclerocarya birrea (marula) seed oil, biotin (vitamin B7), adansonia digitata (baobab) seed oil*, fragrance. Caution: For external use only. Avoid spraying in eyes. Do not apply to broken, irritated or itching skin. Keep out of reach of children. Discontinue use immediately if rash, irritation or discomfort develops.